ASC Energy is a Greek Single Member Private Company, formed under law 4072/2012, which specializes in the broking of commercial deals in crude oil and its refined products. The company is managed by Aristidis Constantinidis. He has extensive international experience in the oil industry, serving as Operations Manager in Royal Dutch Nedlloyd and AP Moller Maersk, Athens, Head of oil trading in Shell Oil, London and Managing Director in Bominflot Hellas, Athens. ASC Energy acts primarily as an agent for foreign companies who want to access the Greek market, but also for Greek buyers of usually small to medium sizes, who want to access the international oil markets. ASC Energy employs a staff of 12 experienced professionals with backgrounds ranging from Sales, Operations, Finance and Consulting. 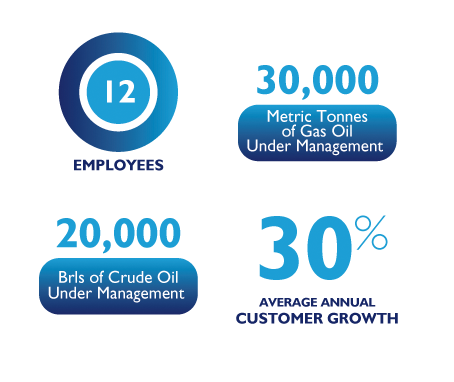 In a constantly changing energy landscape, characterized by supply and demand imbalances, wild price swings and relentless competition, ASC Energy seeks to offer to its customers reliable services, ranging from the purchase and delivery of crude and refined oil products to market intelligence and operations consulting. ASC Energy is a majority shareholder (90%) in ASC Oil Trading LP, a Scottish Limited Partnership established in 2015 in Scotland (Company No. SL021161). ASC Oil Trading LP engages in oil trading in the international market. It specializes in the trading of physical quantities of several grades of crude oil and refined oil products, as well as the trading of the price differential between Brent and WTI grades, a strategy known as arbitrage. Arbitrage is used effectively by global physical oil producers and traders for hedging or speculation.